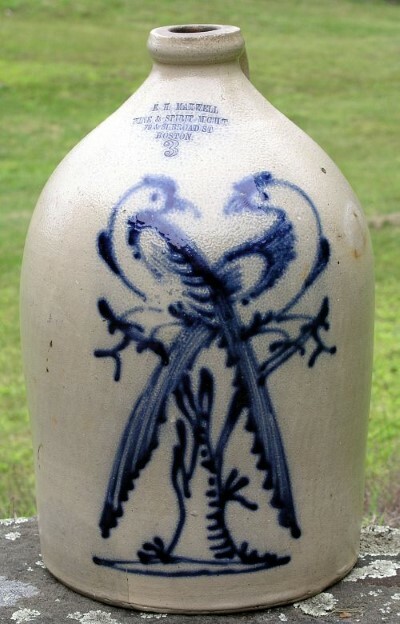 Three gallon stoneware jug with cobalt blue double pheasants on stump marked E.H.Maxwell Wine & Spirit Mâ€™Câ€™ HT. 79& 81 Broad St. Boston. Attributed to E.& LP Norton Bennington Vt.